Our ministry is dedicated to helping people back to life again – spiritually, emotionally, physically. I invite you to partner with us in touching the lives of those who are struggling daily to just make it one more day. We welcome people from all backgrounds - we want to help! Whether you need help, or want to help, we want to hear from you. JOiN US FOR REsURRECTION SERvices!!! 4PM FRI. APRIL 19, 2019 CROSSWALK DOWN SECOND AVE. to fair park. 7:30 pm easter play live at d.i.s.c sunday april 21, 2019 11 am easter service and easter play live again! "new & used merchandise at reasonable pices"
Come see us today for a great deal! The Glory Thrift Store is owned and operated by Karen Dudley. It is a part of the Dallas International Street Church. Most of the workers in the store are a part of the Discipleship Program here at Dallas International Street Church. Some of our team members today are including but not limited to Pastor Len, Robert Neason, Michael Siclari, Bruce Hogue, Angela Zachary, Janice Thompson etc. director: rc 214-579-2699 call me for a free estimate on your next job! We work hard & pray harder! Hello, My name is RC. 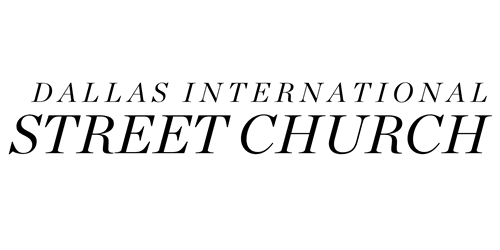 The Dallas International Street Church Workforce wants to do your next job. Our commitment to YOU is if we wouldn't accept it we wont try to get you to accept it! We offer nothing but the best work in a timely manner. We do everything from fence rebuilding, plumbing, electrical, roof remodeling, tree trimming, house building from the ground up etc. Give me a call and we will get right on the job. Always remember we have JESUS on this team and that makes us the winning team. Don't you want to be on the winning team? GOD Bless you!